HUA YUE GROUP IS LOCATED IN CHINA WEI HAI, A SEASHORE CITY WITH BLUE SKY, CLEAN WATER AND GREEN MOUNTAINS. SINCE ITS ESTABLISHMENT IN 1992, HUAYUE HAS MAINTAINED A SOUND GROWTH AND BECOME A WELL-KNOWN DIVERSIFIED AND COMPREHENSIVE PRIVATE ENTERPRISES GROUP. 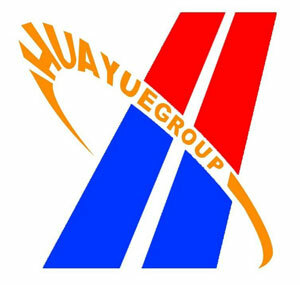 THE MAIN BUSINESS SCOPE OF HUAYUE GROUP IS INTERNATIONAL TRADE AND FOREIGN INVESTMENT ETC. THE GROUP OWNS MANY SUBSIDIARIES AND BRANCHES, INCLUDING WHOLLY- OWNED SUBSIDIARIES IN HONG KONG, SINGAPORE AND CAMBODIA. THE GROUP’S PARENT COMPANY HAS THE LICENSE, ISSUED BY THE MINISTRY OF COMMERCE OF CHINA, FOR IMPORTING CRUDE OIL AND REFINED OIL (FUEL OIL). UNDER THE LEADERSHIP OF MR. ZHANG SONGYI WHO IS THE GENERAL MANAGER OF THE COMPANY, HUAYUE GROUP ALWAYS ADHERES TO THE BUSINESS PHILOSOPHY OF "HONESTY IS THE BASIS, MANAGING ACCORDING TO LAW, AND DEVELOPING HEALTHILY", AND CARRIES FORWARD THE ENTERPRISE SPIRIT OF "HONESTY, PRAGMATISM, INNOVATION AND DEVELOPMENT", HUAYUE GROUP IS DEVELOPING RAPIDLY, BASING ON HOMELAND, WHILE KEEPING THE WORLD IN VIEW AND GROWS STRONGER AND STRONGER. IN THE YEAR 2016, ACCORDING TO THE CUSTOMS STATISTICS, THE TOTAL IMPORT VOLUME OF HUAYUE GROUP RANKS 137TH AMONG THE TOP 500 IN CHINA'S FOREIGN TRADE COMPANIES. RANKS 10TH AMONG THE "CHINA'S TOP 500 PRIVATE COMPANY FOREIGN TRADE" . IN THE YEAR 2017, HUAYUE GROUP CO., LTD. IS THE 1ST LARGEST IMPORT FOREIGN TRADE ENTERPRISE IN SHANDONG PROVINCE, THE 5TH LARGEST IMPORT AND EXPORT FOREIGN TRADE ENTERPRISE IN SHANDONG PROVINCE AND THE 1ST IN WEIHAI CITY. IN THE PAST YEARS OF ITS DEVELOPMENT, HUA YUE GROUP IS PUBLIC-SPIRITED AND SOCIALLY RESPONSIBLE, TAKES AN ACTIVE PART IN THE ECONOMIC AND CULTURAL EXCHANGES AND SOCIAL PUBLIC WELFARE ACTIVITIES AT HOME AND ABROAD. THE COMPANY WAS AWARDED THE "WORLD PEACE PRIZE" BY THE CHINESE PEOPLE'S ASSOCIATION FOR FRIENDSHIP WITH FOREIGN COUNTRIES. UP TILL NOW, HUAYUE GROUP HAS DONATED TENS OF MILLIONS YUAN TO THE RED CROSS SOCIETY OF CHINA, THE CHINESE PEOPLE'S ASSOCIATION FOR FRIENDSHIP WITH FOREIGN COUNTRIES, THE CAMBODIAN RED CROSS AND SOME OTHER DOMESTIC AND INTERNATIONAL ORGANIZATIONS. THE GROUP COMPANY ENJOYS A GOOD REPUTATION AT HOME AND ABROAD. 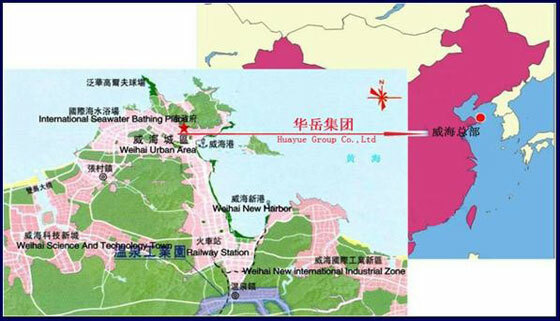 FOR MANY YEARS IN SUCCESSION, THE GOVERNMENT OF SHANDONG PROVINCE HAS NAMED "THE ADVANCED ENTERPRISE OF FOREIGN ECONOMIC AND TECHNOLOGICAL COOPERATION IN SHANDONG PROVINCE" AND "THE ADVANCED ENTERPRISE OF FOREIGN TRADE AND ECONOMIC COOPERATION OF SHANDONG PROVINCE" "THE ADVANCED ENTERPRISES OF OPENING TO THE OUTSIDE WORLD IN WEIHAI CITY", "THE ADVANCED ENTERPRISES OF FOREIGN ECONOMIC AND TRADE IN WEIHAI CITY", HUAYUE GROUP HAS ALSO BEEN HONORED WITH THE AWARDS OF “ADVANCED TAXPAYER ENTERPRISE” AND "ABIDING BY THE CONTRACT AND CREDIT ENTERPRISES IN SHANDONG PROVINCE” BY THE TAX BUREAU AND THE INDUSTRIAL AND COMMERCE BUREAU. HUAYUE GROUP WAS AWARDED BY A NUMBER OF BANKS AS "AA+" AND "AAA" CREDIT RATING ENTERPRISE.